We are the people...: Boring! Wow. My last post was titled Procrastination and dated January 23rd. Today is February 8th. I'd say I definitely know how to procrastinate. Good grief! I also just realized that I'd promised to post a photo every day for the month of February. Obviously I forgot about that promise. Early Onset Alzheimer's. Ok, so why haven't I posted anything in so long? Because there's been absolutely nothing going on in my life to write about. Nothing good, nothing bad. Just same old, same old every day. Don't get me wrong, I'm not complaining. Boring can be a good thing. Boring is way better than overly stressed. But boring does not provide blog fodder. So, how have I been spending my time? Well, there's the homeschooling stuff although that really doesn't take up much of my time. I plan it, write the kids' to-do lists and they do it. Pretty simple now that they are old enough to function on their own. There is the matter of math. Math, they need help with. Too bad I can't provide it. Math is NOT my subject. But, I am quite proud to say that I'm actually understanding Algebra this time around. Only about 35 years too late. Oh, my gosh! This yarn is awesome! Or at least it is to knit with. I hope the finished product will wash & wear well. That remains to be seen. The yarn is cheap, at least compared to what I normally buy and it knits up beautifully. It creates a nice thick, dense but soft fabric. I finished the first pair of socks a few weeks ago but haven't stitched up the toes yet. I'll post a picture once that happens. Might be a while though. That Kitchner stitch takes a bit of concentration and I have to have total silence to accomplish it. Which means, the kids and husband all need to be out of the house for a while & the TV & cell phones turned off. And that just never seems to happen these days. But anyway, I liked the first batch of yarn so much, I bought more. I've also started knitting a few Easter Chicks. They are no where near finished and aren't photo worthy yet, but one of these days. And I guess one of these days better hurry up and get here because I'm hoping I'll be able to sell a few of them. I've been spending a lot of time reading but I don't seem to be making much progress in either of the two books. They are both from my 101 Goals list and well, let's just say that goals list is the only reason I'm pushing through them. The first book, Anne Rice's Interview with a Vampire is supposed to be an excellent read but I'm struggling with it. Maybe I just haven't gotten far enough into it yet. 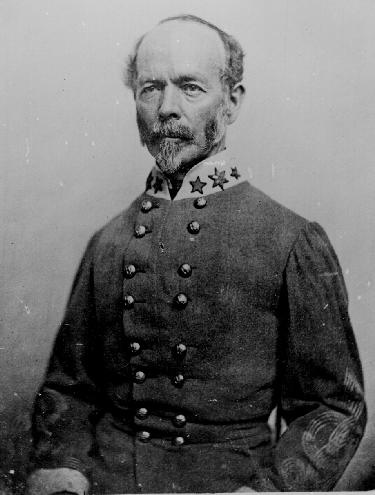 And then there's Joseph E. Johnston, A Civil War Biography written by Craig L. Symonds. General Johnston was my great, great uncle and I'm interested in learning about him, but.... The book's writing is kinda dry and it turns out Old Joe was a bit of a stuck up whiner. But still, it's interesting to learn about a family member. And, as my dear husband points out, the writing probably isn't dry, it's just that I'm used to reading fluffy trash, not Civil War biographies. And then there's the weather. I've spent a lot of time complaining about the weather, although I'm not really sure why. Just seems like the popular thing to do. Here in Virginia, we've been extremely lucky weather wise this year. While it's been cold, it hasn't seemed all that cold. Not compared to the rest of the country. And it is winter. And as for the snow, we've had weekly predicted storms but they've almost all fizzled out before they get here. There have been several times where they've been predicting a blizzard for over a week then the day before it's supposed to hit, they say it will only rain and then the storm fizzles out completely or moves off shore or something and we don't even get rain. So really, the weather has not been complaint worthy. Specially not compared to the rest of the country. Then there's the running. That was going down hill fast. My speed was getting slower & slower and my perceived effort was getting higher and higher. I was getting pretty frustrated but cut my mileage back a bit and have made progress since. I'm starting to think that I may have to cancel those marathon plans. My body just does not seem to enjoy running long distances. But, maybe if I could loose the rest of the weight my running would improve. And that brings me to the other thing I've been spending a lot of time doing. Eating. Good Lord! I have been eating. Every single thing in sight. Well, not EVERY thing - I'm still doing the vegetarian thing. But other than meat, I've eaten everything in sight. Specially cheese & crackers. At least I'm eating relatively low fat/sodium crackers, but still. Which low fat/sodium crackers you ask? Triscuits Cracked Black Pepper crackers. O.M.G. I love these things! Well, I have learned! The entire family is enjoying having fresh baked bread almost daily. And it's incredibly easy and incredibly tasty and my waistline is probably suffering for it but oh well. It's too yummy to give up. It's also helped the family not complain so much about how frequently we've been having soup and/or beans for dinner. Fixing dinner has become a bit of a nightmare now that half the family doesn't eat meat. The solution has been lots and lots of vegetable and bean soup. And of course, bread! Aack! I should never have mentioned food. Now, I'm hungry. Girl, you are always so fun to read! Your boring life sounds interesting to me. Never read Interview.....just refuse to do what everyone else is doing. And Albert Sidney was a bit of a yawn. I'd suggest reading Shaara's Gods and Generals....a novel but very well done!